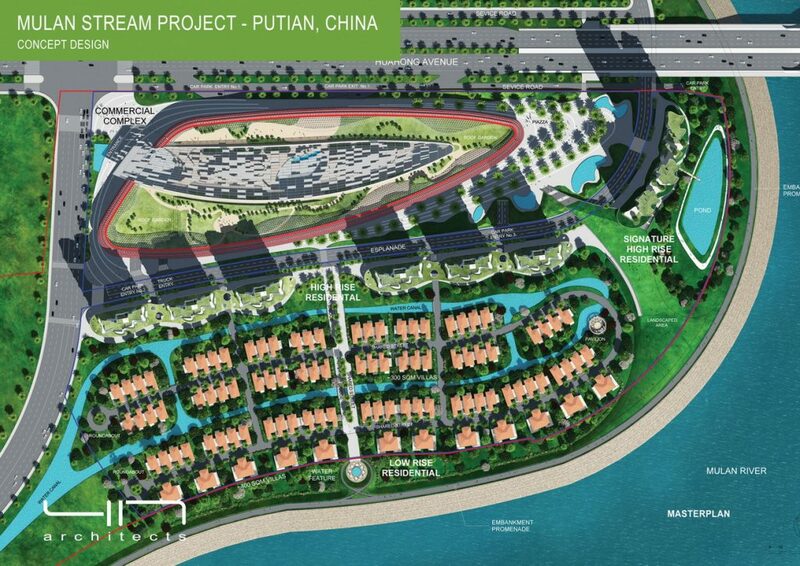 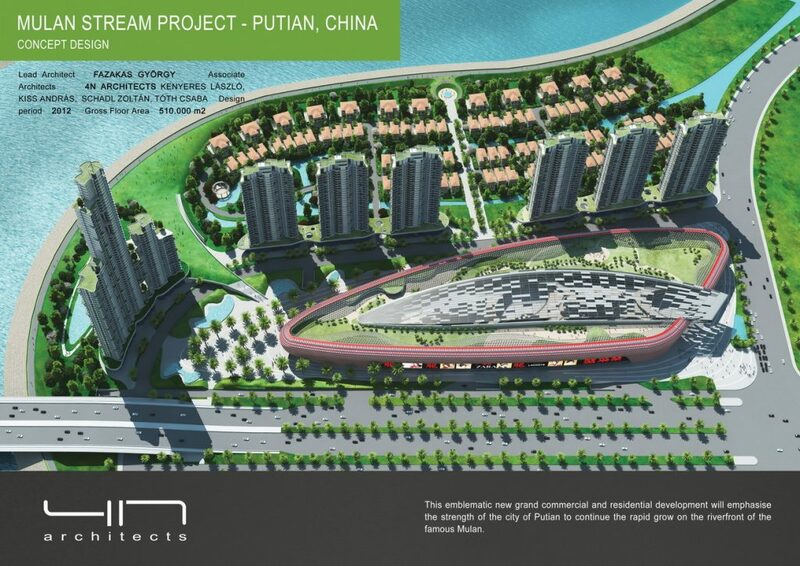 This emblematic new grand commercial and residential development will emphasise the strength of the city of putian to continue the repid grow ont he riverfront of the famous Mulan. 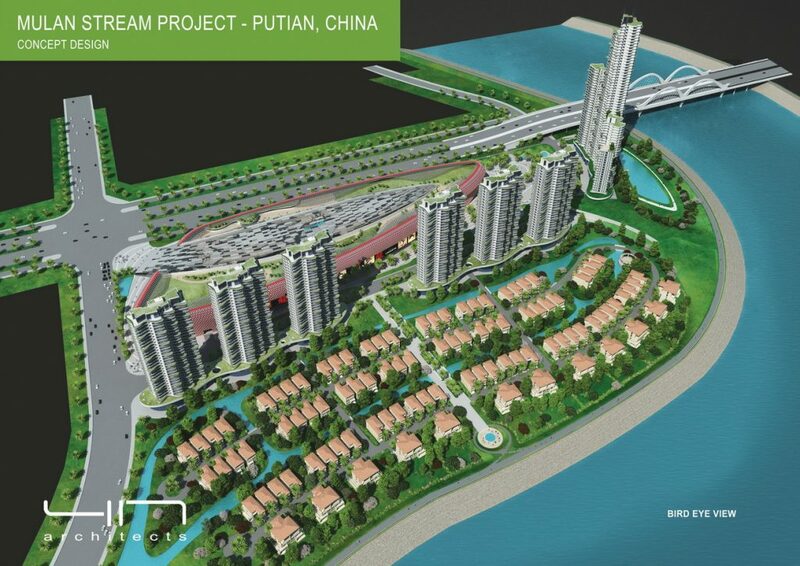 The signature building at the bridge head with its green architecture cuold be a new architectural sign. 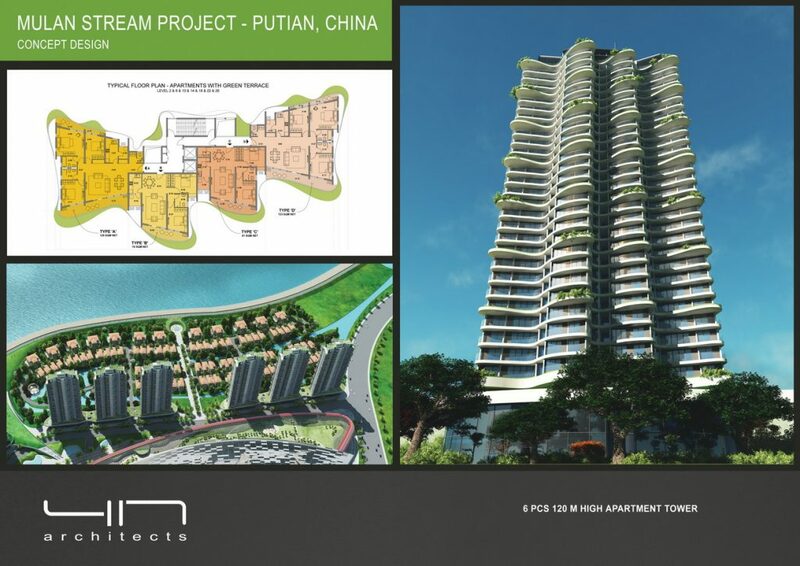 The upper floors are designed with various apartments and ont he top of the buildings there are some penthouses. 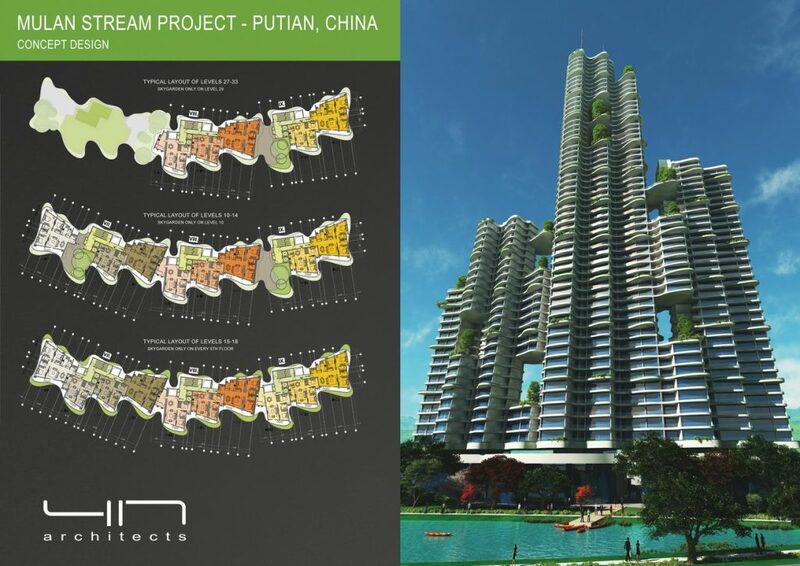 Some sky gardens are created int he building to break the large volume and create green area for some uppre floor apartemets. 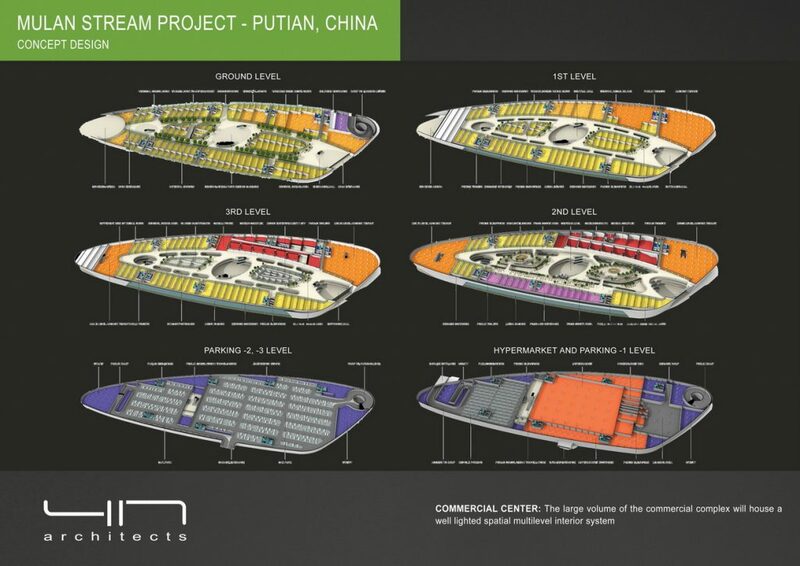 The large volume of the commercial complex will house an intericate spatial interior system. 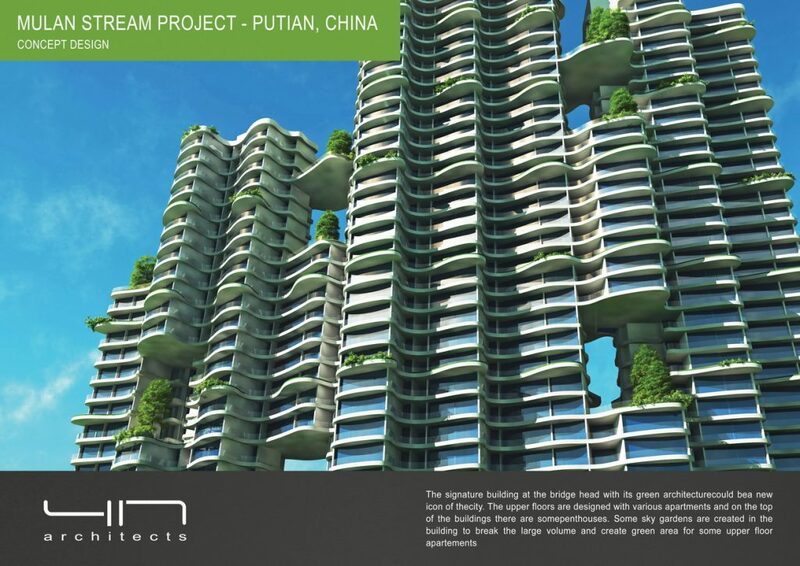 The develpment includes further 6 pcs 120 m high residential towers, and 100 pcs deluxe residential villas.